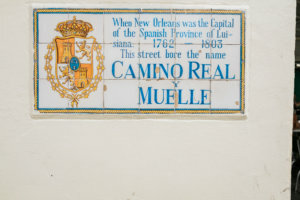 When you’re wandering around the French Quarter, you’ll see many of these historic street signs around every corner. That’s because the French colony of New Orleans was ceded to the Spanish Empire in 1763 and remained under Spanish control until about 1803. 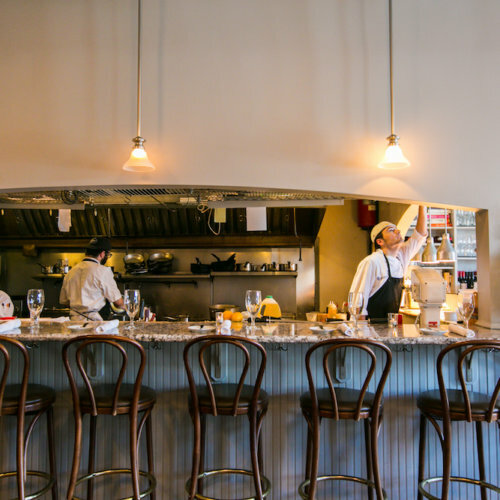 Today, there are still plenty of examples of Spanish influence throughout New Orleans. 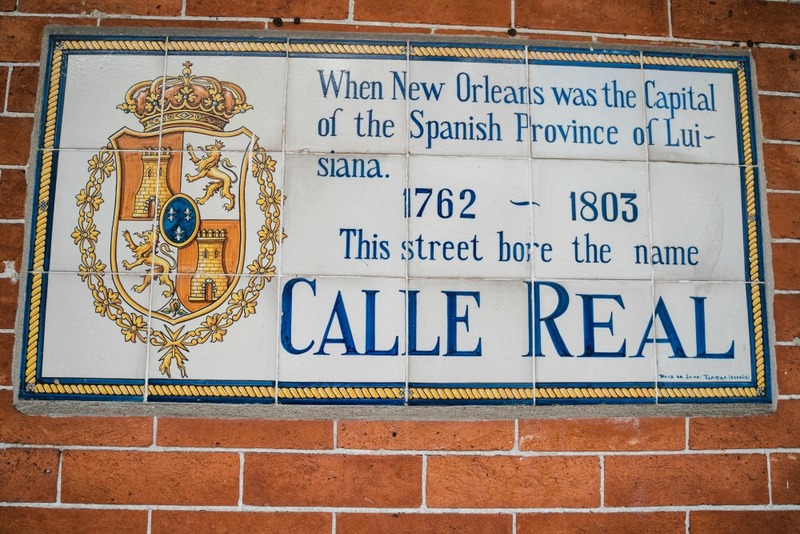 We’re here to show you how you can spend a day exploring the French Quarter to find these Spanish Calle signs to learn more about the Spanish history of New Orleans. Some of the other streets to note are: Chartres Street, St. Peter Street, St. Ann Street, Toulouse Street, Dumaine, Barracks Street, Esplanade Ave, Iberville Street, and Orleans Street. 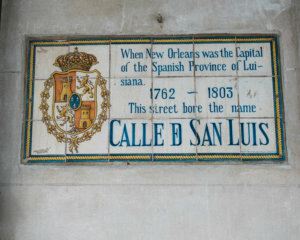 Now that you know where to find all of these historical Spanish street signs in New Orleans, it’s time to start exploring! Late afternoon in the Quarter.